The CODE BWSE – BWSI furler has been designed in order to have the smallest overall dimensions possible and allow for an easy installation on any bowsprit. It is to be used on sailing yachts looking for performance with the sail positioned on the extreme bow. Its high speed and sail furling torque make the furling operation easier and faster. Though the system was originally intended to be used on a bowsprit, it may be easily fitted below deck. 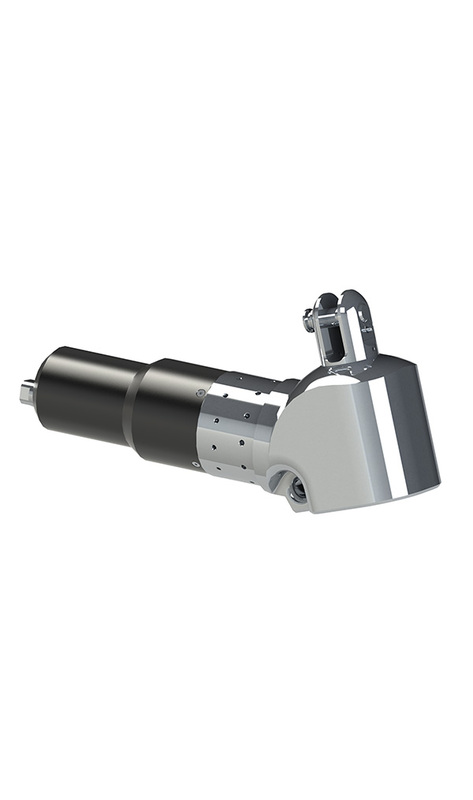 Bamar presents this new line of hydraulic Code Furlers that guarantee unique specifications, such as reduced weight, easy installation, low maintenance, reduced overall dimensions, thus improving comfort and safety onboard. Body and fork parts are made in 316 stainless steel in order to ensure the best resistance to marine conditions. Parts that are exposed on deck are mirror polished. At present, the CODE BWSI system can be supplied in two sizes that are identified by the stay max working load. Combined with the special RollGen stay with tack swivel connection, these furlers allow you furl sails with free luff, such as the Gennaker.